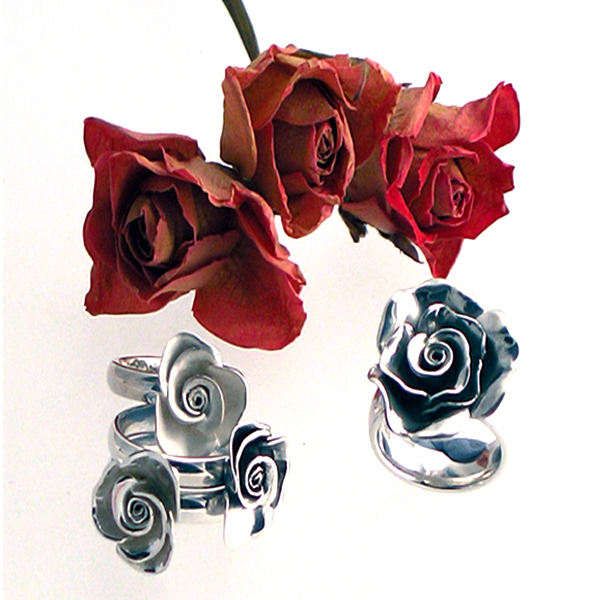 These beautiful rose rings would add a romantic edge to your free spirited style. Choose a polished finish for a classic look or an oxidised finish for a bit of vintage retro glamour. 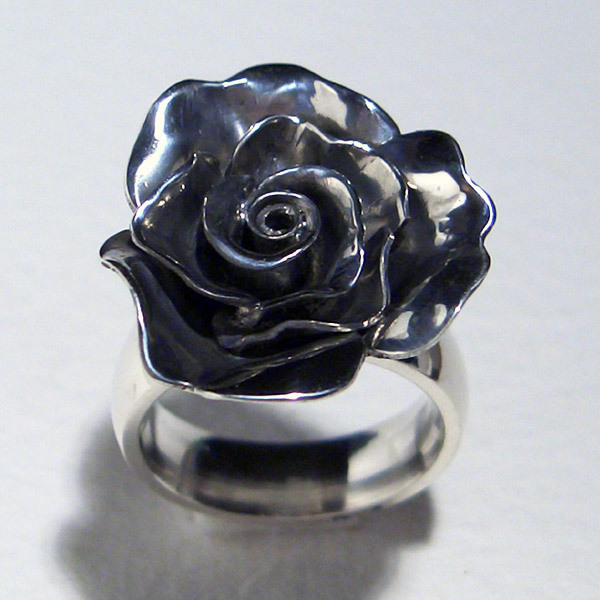 Pretty silver and partially oxidised ring from Amanda’s ‘Rose Collection’. 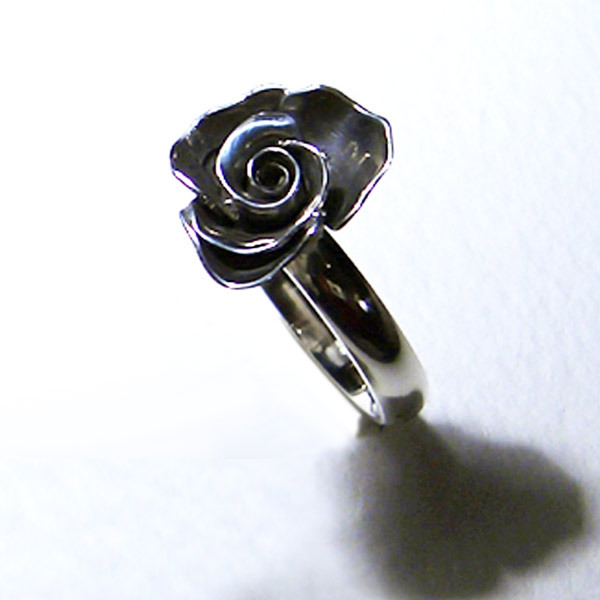 Options: Polished or partially oxidised silver rose. 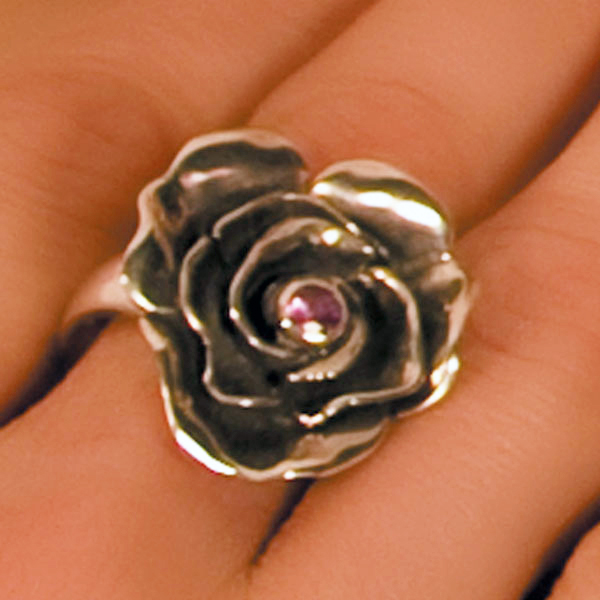 Statement silver and partially oxidised ring from Amanda’s ‘Rose Collection’. Rose size approx. 25mm diameter. Gorgeous chunky silver and partially oxidised ring from Amanda’s ‘Rose Collection’. 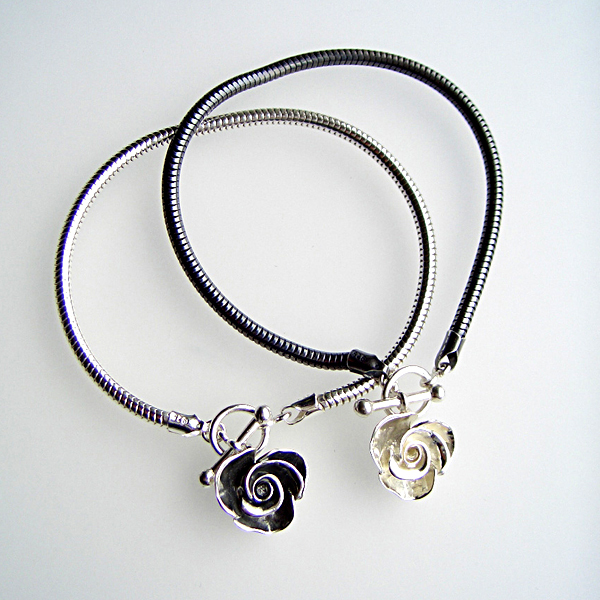 Beautiful bracelets from Amanda’s ‘Rose Collection’ with a rose dangling from the catch of the 3mm round snake chain. Rose size approx.16mm diameter / bracelet length 7". Also available with a 7mm pearl drop dangling on a few chain links next to the rose. Other ring sizes can be made by special order. Each piece is hallmarked by the Birmingham Assay office.